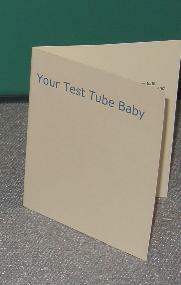 Test Tube Doll Are You a Test Tube Baby? 1% of all births are now in vitro -- so-called "test-tube" babies. Here's your chance to own one! Your precious time has come. Your Test Tube Doll is suddenly here. 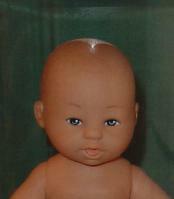 Complete doll in plastic test tube with Welcome card: only $12.95 plus shipping. Pay securely using your credit card. 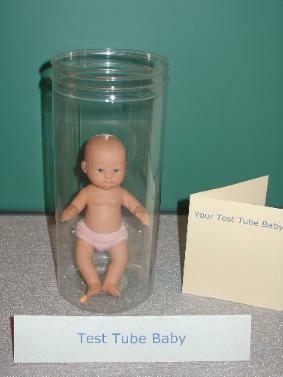 This anatomically-correct doll is 8" tall and housed in a giant test tube -- for the fetal kid in all of us.